The Lens Correction module in Lightroom can automatically correct common distortion problems. 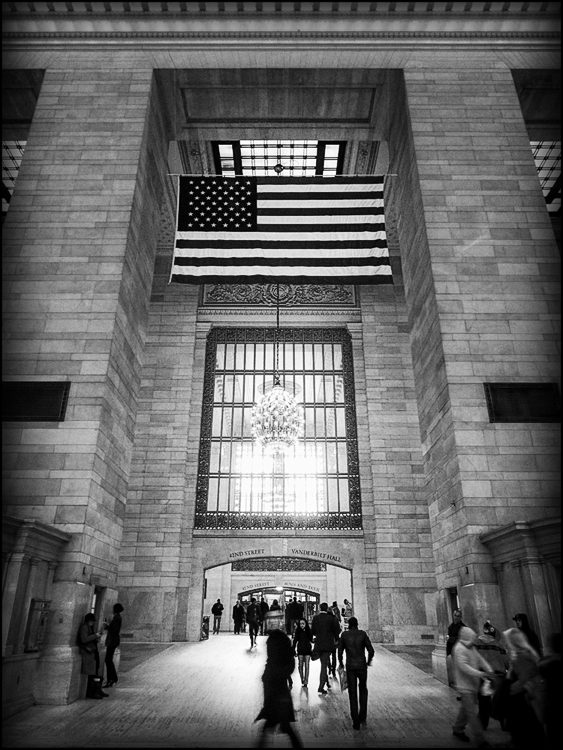 These are typically evident in wide angle architecture shots such as this one of New York Grand Central Terminal shot with a Panasonic Lumix LX5. This is just going to be a short blog today but I’m sure it’s going to answer a question quite a few Lightroom users have. If you shoot in RAW format then you will be using a RAW converter to convert your images to a picture format such as TIFF or JPG. This is one of the common uses for Lightroom which has the excellent “Develop” module (see my Lenscraft website for free membership and tutorials). One of the features of this module is that you can load in lens calibrations for your camera which will apply an adjustment to correct any lens distortion. It is possible to create your own lens profiles using a lens calibration chart and some free software that can be downloaded from the Adobe website but this is quite tricky and time consuming. Adobe has therefore taken the approach of shipping Lightroom with some standard Camera and Lens profiles that can be selected. These generally correct the major distortions such as Barrelling and Pin cushioning. There are then further manual adjustments you can make to tweak your image. If however you are a Panasonic or Olympus Micro 4/3 user you might have wondered why these cameras are missing from the lens calibration menu. The answer is simple, Adobe has built the profile correction into the software and it is automatically applied without needing to select the camera and lens. When I first read this I was a little sceptical but I managed to hunt down the confirmation on the Adobe web site with the answer coming from one of their senior engineers. So all you Micro 4/3 Lightroom users out there, if you are still not happy all the lens distortion has been removed, turn to the manual adjustment sliders. If of course you have a compatible lens calibration chart, the software from Adobe and a lot of time and patience you could always create your own. I’m glad you could confirm this. I was also skeptical the first time I heard about this. Yes it does seem odd but i have also compared against another package and i can see there is correctiin lughtroom.